...early prototype cars were badged with Subaru nameplates to confuse spy photographers. 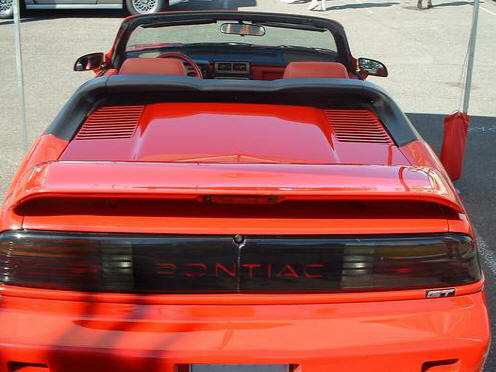 Pontiac Fiero Convertible: Soft-top convertible sold at Barrett-Jackson Auction in Scottsdale, Arizona. 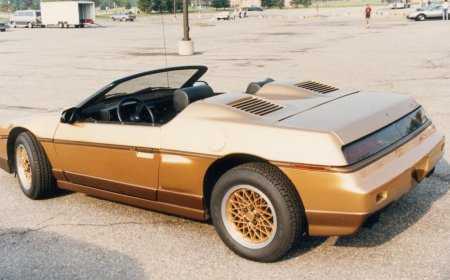 Pontiac Fiero Convertible: Soft-top convertible with its roof down. 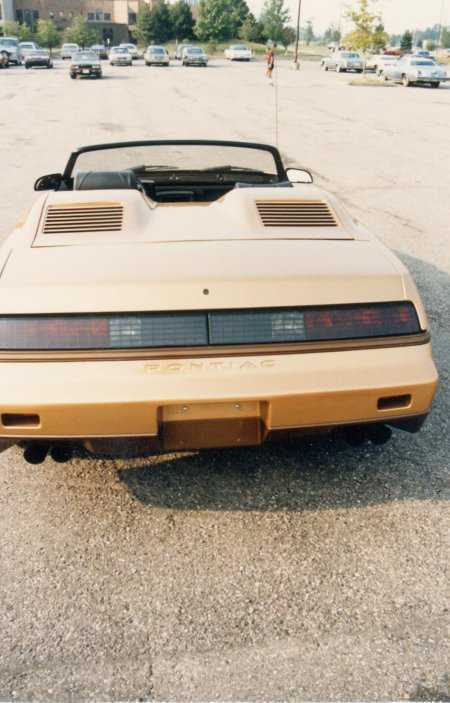 Introduced in 1986 - the same year the GT fastback model was introduced - but never sold to the public. 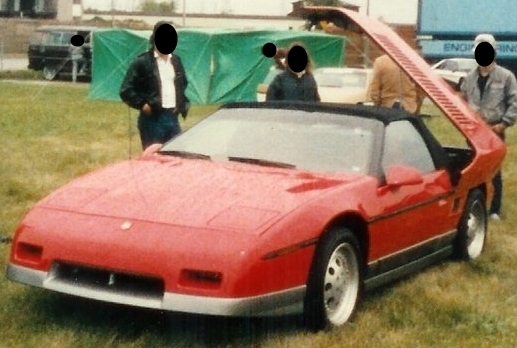 Pontiac Fiero Convertible: Rooftop down. 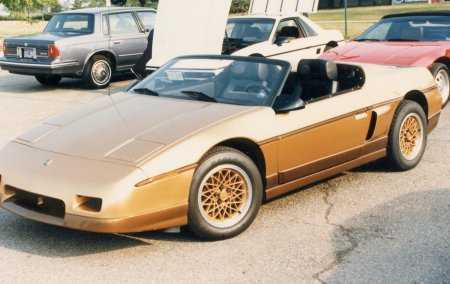 Pontiac Fiero Convertible: Featuring a 2.5L Inline-4 engine; introduced in 1984 as a concept model, but never sold to the public. 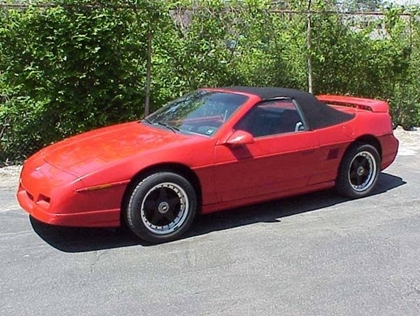 Pontiac Fiero 1986 GT: Although this model looks like a fastback, it was made out of an earlier 4-speed SE. 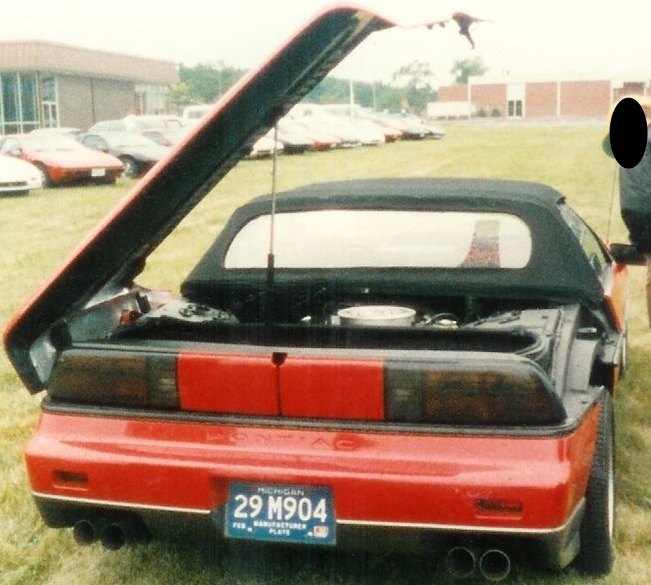 When the top is down, it is stored under the lift-up hatch. 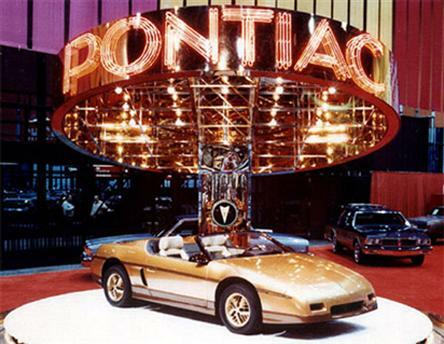 It was designed and built by Pontiac Engineering to test the side-opening rear deck. 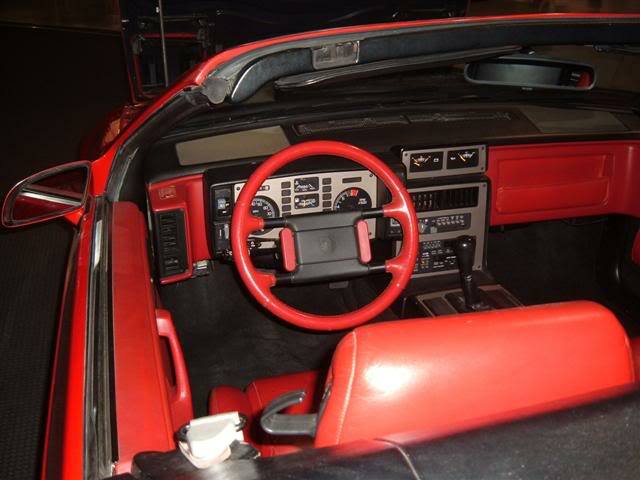 The red leather interior also complements the design. 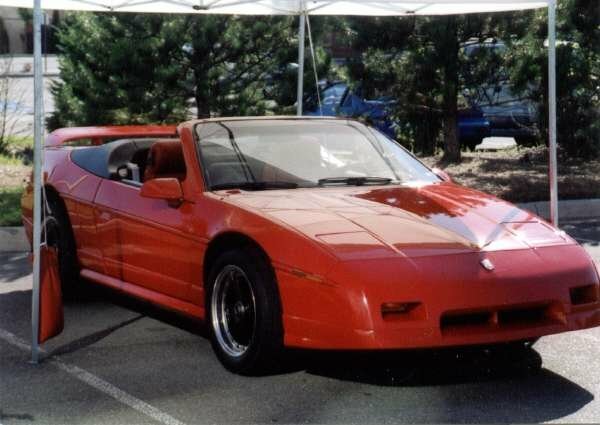 The car also has a fully operational manual top, uses production doors and door skins, including the Fiero's standard roll-up windows. 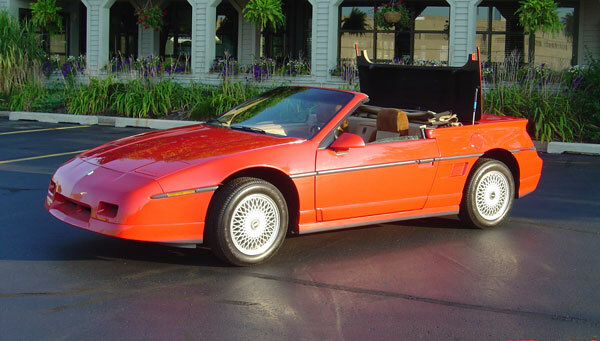 Pontiac Fiero 1986 GT: The rear compartment opens from the side, you manually fold the top down, close the decklid, and put the boot on. 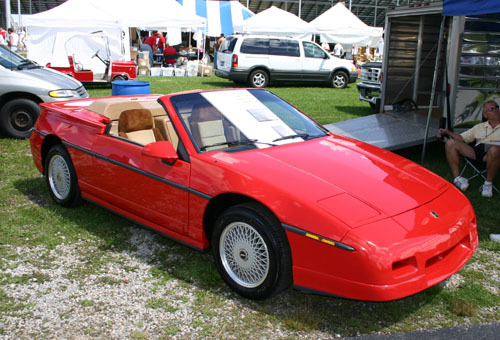 There are 3 different types of Enduraflex panels used on the exterior of the Fiero: RRIM (fiberglass reinforced reaction injection molding, SMC (sheet molding compound), and TPO (thermoplastic olefin). 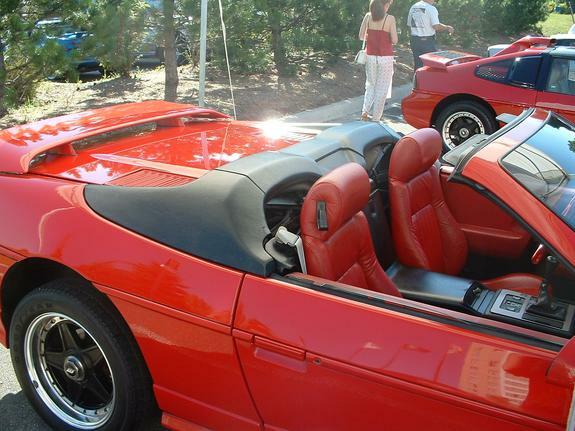 RRIM is used in the bumper covers, front fenders, door panel, and front quarter panel. SMC is used in the hood, headlamp covers, roof, rear quarter panel, and trunk. 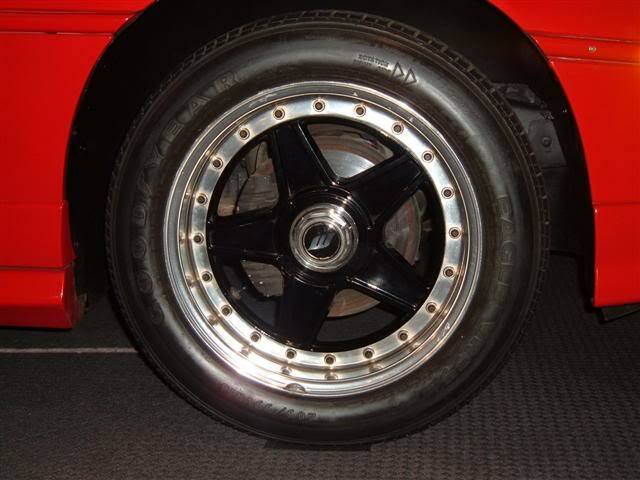 TPO is used for the rocker panels.